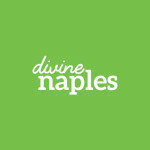 I love to practice yoga and after many years finally became willing to take a class at Hot Yoga Naples. I was afraid because of the heat, I am a bit claustrophobic and it has never appealed to me. I have heard stories about not being allowed to leave the room, no water, etc. I allowed the fear to stop me from giving it a try. Well, what a mistake. It is exactly what I need. Yes it is intense, and challenging, and transformational. It pulls my mind together and focuses all my energy into the present moment, like a channel. I find it healing, calming, and anxiety reducing. It is helping to heal those very things that caused me to avoid it in the first place. I read a quote today, "the answer to the pain is in the pain." By meeting myself where I am, and digging in deep, I come out the other side a little more free, happier, lighter, more joyful. I like the vibe at the studio, down to earth and genuine. It is a wonderful community. Thank you Hot Yoga Naples. I am forever grateful for this studio and community of people. I hesitantly walked into not only my first hot yoga class, but also my first yoga class of any kind, almost two years ago and haven't looked back since. While the instructors are incredibly talented and supportive every step of the way, the energy and acceptance that flows from one yoga neighbor to the next has healed me mentally and physically over and over again. While I believe its a self-journey for each individual who steps onto thier mat, these past couple of weeks have been remarkable in gaining strength and felxibility in an injured arm. I am 2 months recovering post- surgery from a dog attack that had destroyed nevere and tendon damage in my arm- although my body has been limited from the things I could do before, I have been showing up to this studio a couple of times a week and am over the moon with how far I have come. Little by little- the people, poses and heat have helped me to get my arm to go straight again and even bear weight on it. This practice is designed to heal the body and mind, tailored so individualistically to assit in recovery with whatever injury you may be facing. My sugeron was shocked with my last follow-up appointment on the strength and mobility I had gained, he asked how many times I was going to physical therapy a week. -"hot yoga" was my answer. I've been a member here for over 8 years - some years more consistent than others but I know this is going to be my practice for the rest of my life. I'm over 50 years old and really feel like this is my fountain of youth! It really is amazing how different each class can be even though it is the same routine. Really makes you understand yourself better - allows forgiveness on not so great days and feelings of accomplishments on better days. The heat allows your body to release more and is just one more thing you learn to "let go" out of your head. The teachers have all been fantastic - they all just make it about the/your practice. It really is a 90 minute opened eyed, standing mediation practice - it is tough, not "relaxing" during the process, but I always feel like a wet, relaxed noodle afterwards! I started practicing at this studio 10 years ago and I can honestly say it changed my life. To the people who are leaving negative comments... YES it smells badly. YES the teachers are strict. However, life is full of unpleasantness (the least of which is small) and discipline is one of the things this yoga teaches. Of course the teachers are strict. Duh. To meditate in a perfect and peaceful environment is like being good in church. It’s easy. When things get tough and you are forced to focus, like when it’s 105 degrees with 40% humidity.... a person learns to train their mind pretty quickly when over heating is the ramification to stray thought. Who cares if people are talking? Also... maybe the teacher wasn’t rude, they probably just wanted you to do things you didn’t understand.... like drink water only for the 3 prescribed water breaks and so on. In India the teachers will scream at you, I’ve neber seen that at this place. All I’m saying is ignore the rating and try it for yourself. Had my first session today with Katie. The class was warm Yin yoga. It was super relaxing, ,and Katie was a wonderful instructor. She made me feel comfortable, and confident with the poses. Came back to edit this: just because I attended my 1st hot yoga class at 630am with Holly. She was awesome! Since I was Awkward with the new class and techniques. She made me feel comfortable, and made sure I was executing the correct poses too. Grateful for her humbleness. Definitely going home to practice all the new stuff I have learned. Be back soon to attend more classes, maybe just not at 630am again.